First I did a quick search on Google images, I used safari habitats but obviously this could be adapted for any. 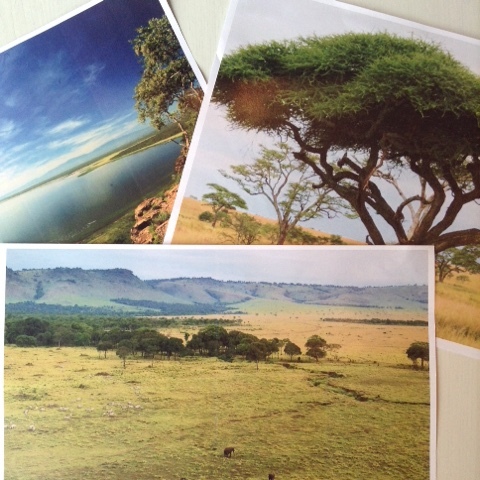 I printed the Masai Mara, an acacia tree & a lake. 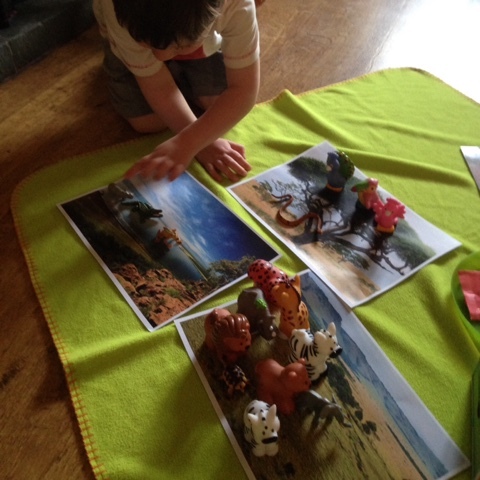 I then rounded up a selection of T's safari animals and set it all out for him. 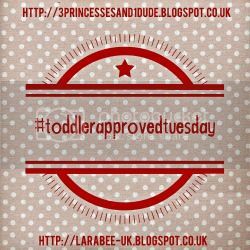 This month we are studying all things safari , our other safari posts can be found here and you can follow our pinterest board here for more safari ideas from other people. I love this idea. Georgia is really inquisitive about EVERYTHING at the moment so would really enjoy something like this. 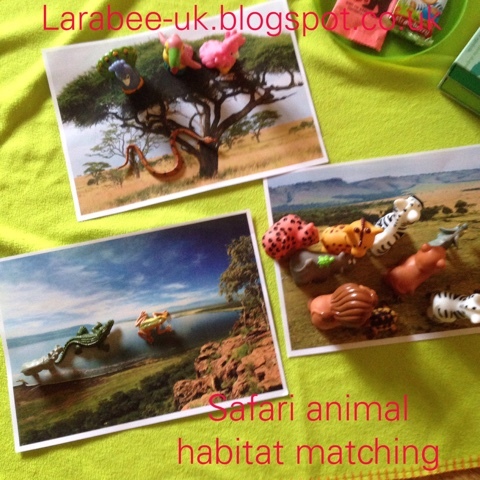 That's a great idea and a very interactive way to learn and talk about animals habitats etc. Such a great idea. 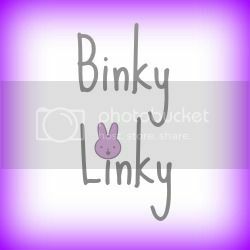 Sorry the comment for last weeks #BinkyLinky is a little late, we were on holiday and only got back late last night!